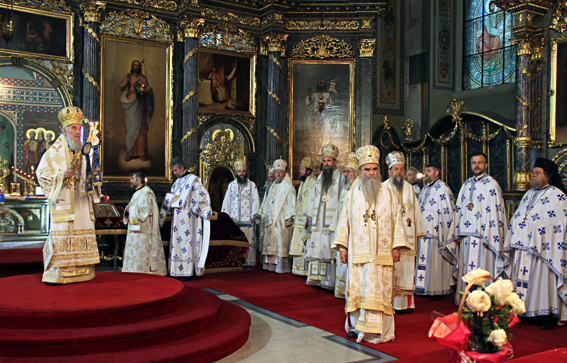 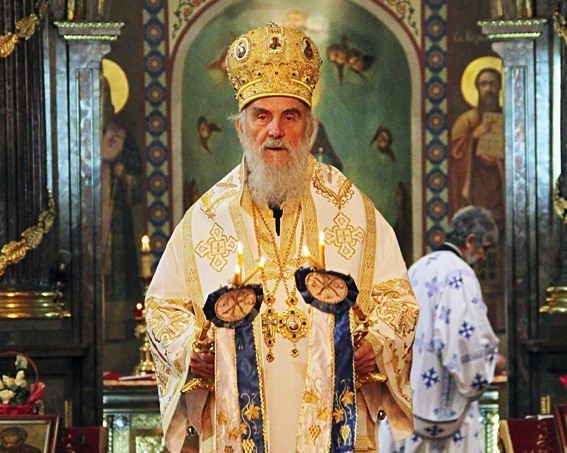 Belgrade, Serbia - The regular session of the Holy Assembly of Bishops of the Serbian Orthodox Church began this morning with the Divine Liturgy in Belgrade's Cathedral Church which was led by His Holiness Patriarch Irinej of Serbia. 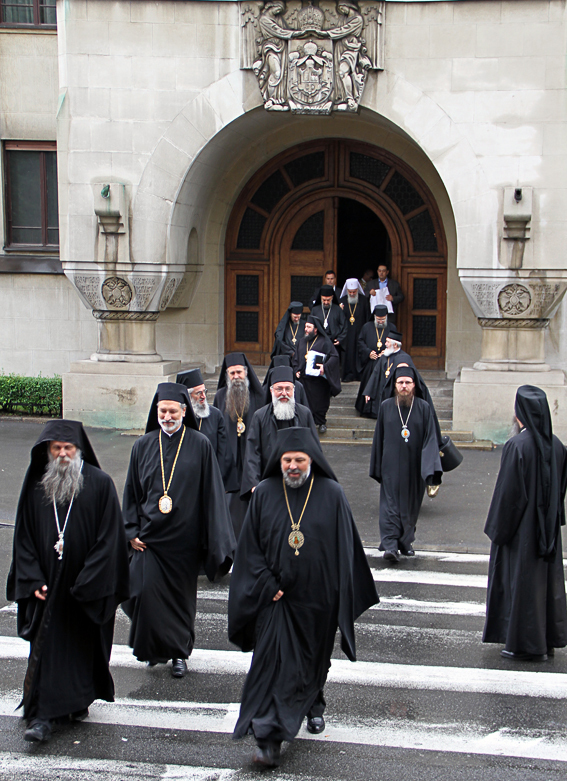 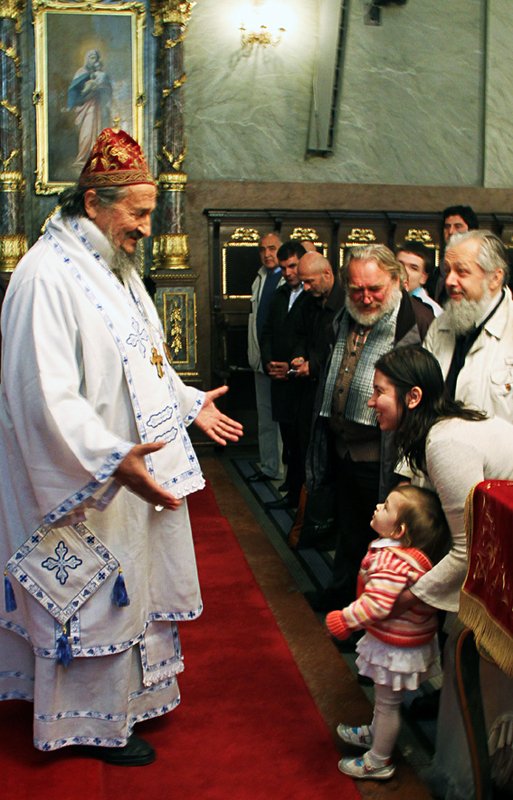 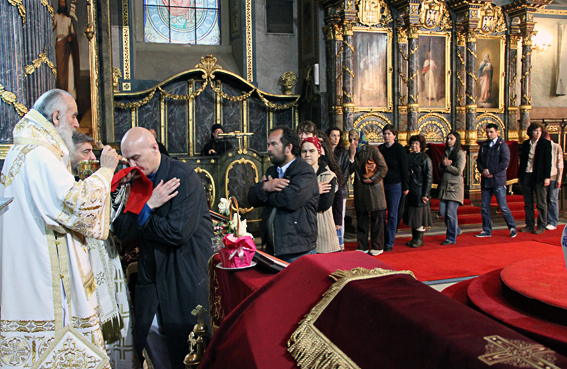 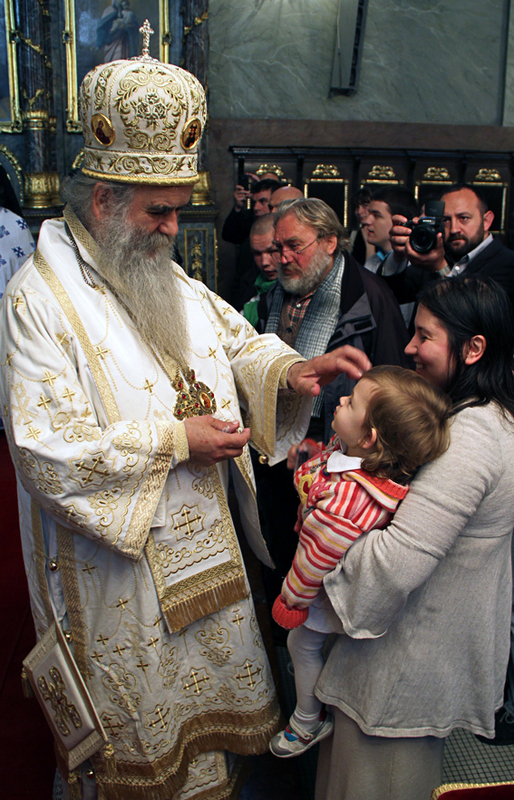 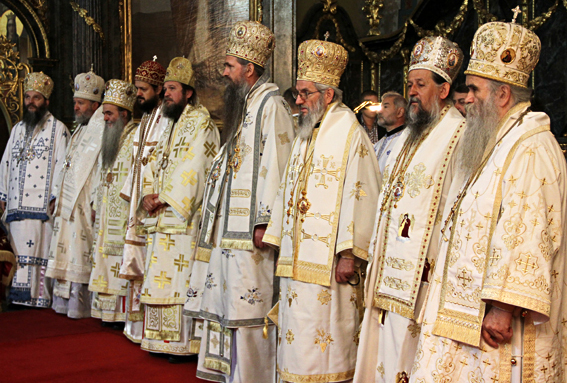 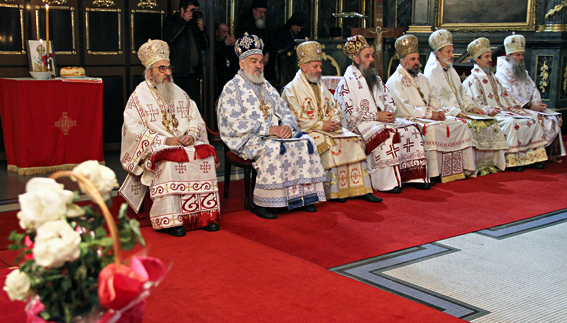 In the work of this highest hierarchal representation and church-legislative authority in the matters of faith, service, church order, internal structure of the Church, as well as the supreme judicial authority within their jurisdiction diocesan bishops of the Serbian Orthodox Church from the homeland and abroad participate. 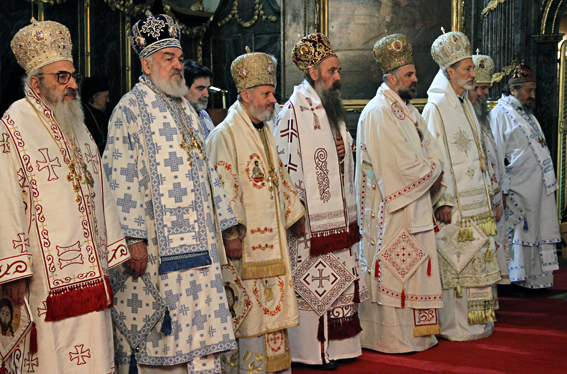 As every year, at the end of the work the Holy Assembly of Bishops a public communique will be issued. 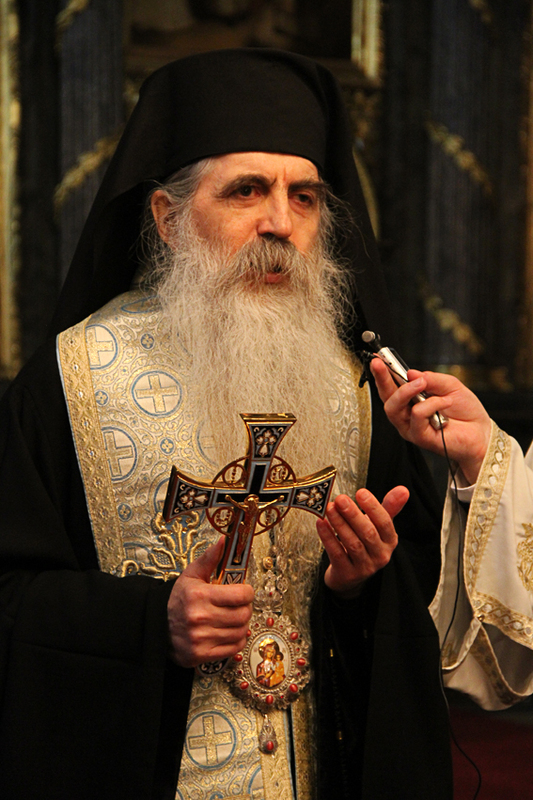 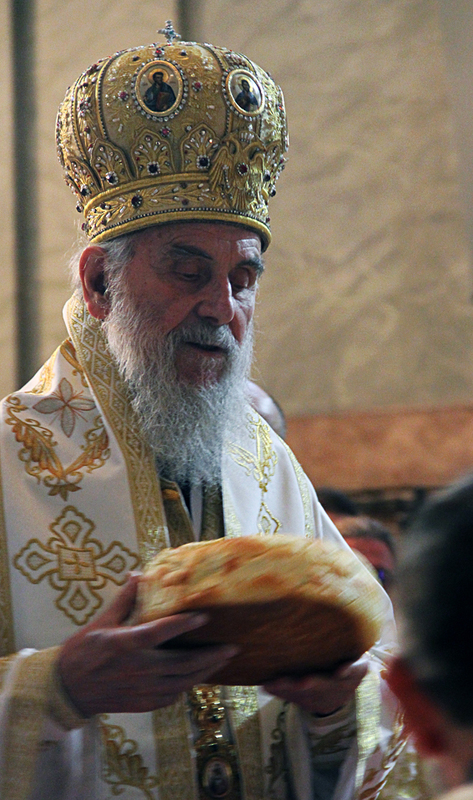 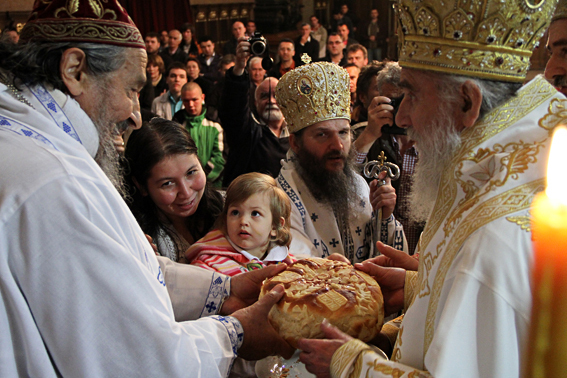 Today's feast of St. Athanasius the Great, retired Bishop Atansije of Zahumlje-Herzegovina and vicar Bishop Atanasije of Hvosno celebrate as their name day, so the morning's service was enhanced with the Cutting of the Slava Kolach and blessing of the slava wheat.